Engineered for Security. Optimized for Speed. Designed for Resilience. Supporting IDNs from 2003 CommunityDNS has always felt the Internet should be a resource for "everyone" and that a DNS server platform should be able to provide resilience for ALL users of the Internet. The expansion of the Internet also serves to add further economic opportunities for businesses and a country's respective online economy. Users, businesses and economies benefit from IDNs? Today's Internet is used by less than half of the world's population. IDNs (Internationalized Domain Names) will greatly increase the number of users who will benefit from the Internet. 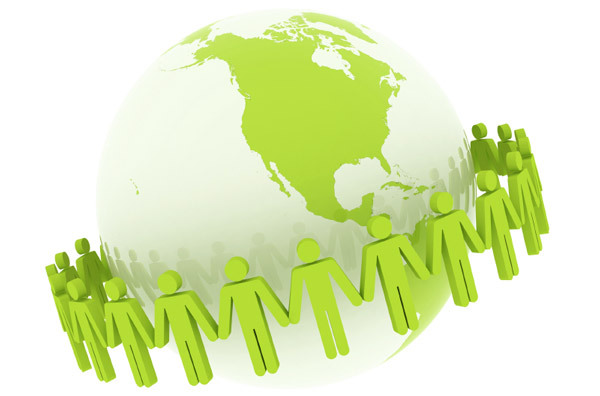 IDNs will also provide a more localized method by which businesses can better reach their customers. As the use of IDNs begin to mature more localized content and services will become available, making the Internet more suited to the respective region and culture. This also means another base from which to strengthen the local online economy. It is because of understanding the value of IDNs for cultural as well as economic growth of economies, CommunityDNS' secure, global Anycast DNS platform became completely IDN compliant soon after the RFC was ratified in 2003. What is DNS? The very purpose of the DNS is to serve as the address book for the Internet. While machines only recognize numbers the human imagination is far more creative, thus having the capacity to create and utilize multiple language sets. DNS services need to be just as dynamic. So IDN-based DNS lookups will be quickly resolved to their respective IP address. The only change is the recognition of non-ASCII/Latin character-based languages. It is this level of leadership and of thoroughly understanding the importance of security that CommunityDNS strives for excellence in DNS resilience. As leaders in security and capacity as well as the early adoption of IPv6, DNSSEC and IDNs, CommunityDNS' dynamic DNS services remains fully capable of resolving ALL of the world's queries using the network engineered for security, optimized for speed and designed for resilience. ©1996-2019 CDNS/Community DNS. All rights reserved.